I did the background work before the move including registering my business name and making it a partnership with my husband being a silent partner. I researched the fabric companies and distributors and sent out emails to make inquiries on purchase minimums and requirements for setting up accounts. Several companies had minimums that were out of our reach. The Canadian distributor for Windham Fabrics was helpful and had attainable minimum order levels. I decided to order in Heather Ross’ Briar Rose line that was coming out that summer. Well, I waited and waited and waited some more for my fabric to come in. I had ordered a couple of months ahead of our move and thought we’d hit the ground running with the shop when we arrived here. In my mind I envisioned the UPS truck pulling up with all of my fabric order the same day as the moving truck. That did not happen. Shops in the US got their bolts. ALL of their bolts. They were listing the full line in their online shops. I was still waiting. I kept calling the distributor and they kept telling me that not all the bolts had come in yet. Finally I asked them to send what they had. Now, the whole line is great but let’s face it… people really wanted the cute bees and frogs. Two people bought the orange nanny bees from me and one person bought a yard or two of the calico knit. Only one of those three customers was a Canadian. The rest of the fabric sat. By this point, anyone who was desperate for the whole line had ordered it from the United States. Including me. I still have my fat quarter bundle from Westwood Acres uncut downstairs in my sewing room. (But I will sew with it this year.) Then the American shops started putting theirs on sale and it was costing Canadians the same or less than what I had paid wholesale. I wasn’t going to sell for less than I paid wholesale! So, I took my listings down and added the fabric to my stash. They are almost gone now as I have backed several quilts with them. In the end I cancelled the rest of the order that never did appear at the distributor’s warehouse and paid about $600.00 for what I did have. I can’t prove this but in my experience it seemed that the American shops were favoured over the Canadian ones as they got their fabrics (and the full collection) first and my order was put on back order. Or maybe they were more established and well respected accounts. When the Canadian dollar was near par with the American dollar it was almost impossible (for me anyway) to sell in Canada, especially when I didn’t have the whole line to bundle. Now might be a better time to start up as Canadians are shopping in Canada. Am I giving up? Well, let’s say the dream is on the back burner. It’s still a life goal to have the online fabric shop. What I am working on though is building an email newsletter! Would you like to sign up? If you do you will receive a free pattern from me. 🙂 There’s a sign up at the top of the sidebar. I would love to help with ideas for using your stash, keep you updated on great things I find on the web, my new pattern releases and fun projects I am working on. That must so discouraging Anita. I know my LQS, which is brick and mortar, has the same problem. She has had no new fabric for weeks if not months. I try so hard to support the shop as it's close to me but time and again I go in and nothing new. She's waiting on orders , she gets told things are happening but still no,product for the store. When the population of all of Canada is less than NYC or LA I guess the fabric companies don't see us as priority. Wishing you the best as you move forward. Oh, Ann. That's awful. The poor lady! At least I didn't have any overhead to pay as this was out of my house. I know, as a Canadian consumer it is frustrating trying to get the lines I want here sometimes. Yes, so true. The New York City Police department is bigger than our army! Yikes. I know this will from working with other shops. I think it's great that you are writing about it because others need to know is not as easy as it seems. We should all Buy Canadian because they work so hard for it! Hi Katy! 🙂 The US shops have the advantage all around. Sorry to hear you are having a hard time too. I know the frustration. Yes, some of the other distributors wanted trade references from me which of course I did not have. (Basically to prove I would pay my account.) Another chicken and egg scenario there too. Hi Sherri! Thank you. 🙂 Yes, I certainly learned a lot that I had no idea about just in that first attempt. So hopefully this helps consumer to understand what the shops are going through. And maybe there are some ladies out there with some cash stored up who are thinking about doing this but had no idea what to expect and this will give them the push to start up some more great Canadian fabric shops. I know someone who has a very successful online + brick and mortar shop (in the US.) She got her starting capital though a co-op buying system. Fabric companies hate it and generally won't sell to co-ops but we were all sworn to secrecy. She would order fabrics based on what the group wanted (thereby having built-in market research) as long as she could get commitments for a certain percentage of the bolt. She would order what the co-op group wanted + some extra amount for her shop. We were charged slightly more than wholesale ($1/y extra or something like that and slightly more again for FQs.) I spent thousands and thousands of dollars in that group and her shop is still one of my favourites. The co-op portion died when people ended up being more of a pain than it was worth (cancelling orders after fabric came in even though that was not allowed, complaining about the wait between ordering and receiving the fabric, expecting the service of a full shop in spite of the massive discount, etc…) Plus, by then her shop was successful enough that she no longer needed to capital from the co-op. 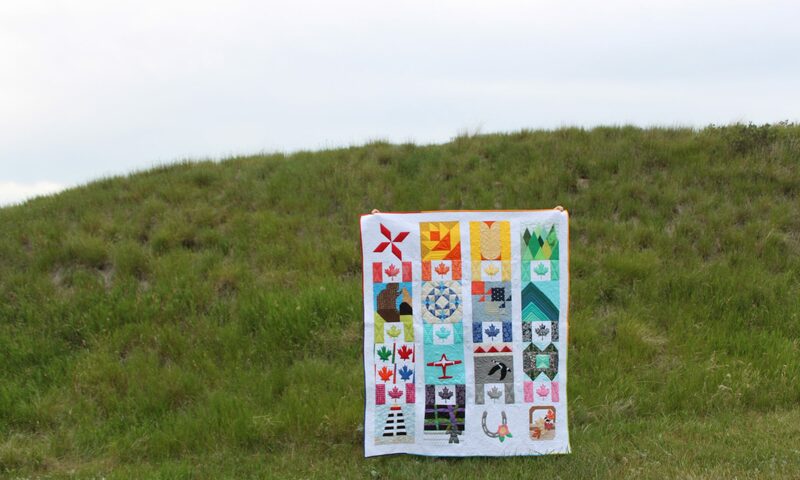 I had only a vague idea of how tough having a fabric shop in Canada is — bravo to you for sharing your experiences and I'm sorry it didn't work out. I had no idea. As a Canadian girl who loves fabric and has toyed with the idea once or twice (though never very seriously) of having a small online fabric store this is so discouraging. Must have been a hard lesson to learn. Hi Jen! Wow! I have never even heard of a co-op before. Well, good for her if it helped her get a start but I hope it didn't end up putting some other people out of business. That's the flip side to it I think. It's tough staying alive in this industry. I've seen so many shops shut down in the past few years. 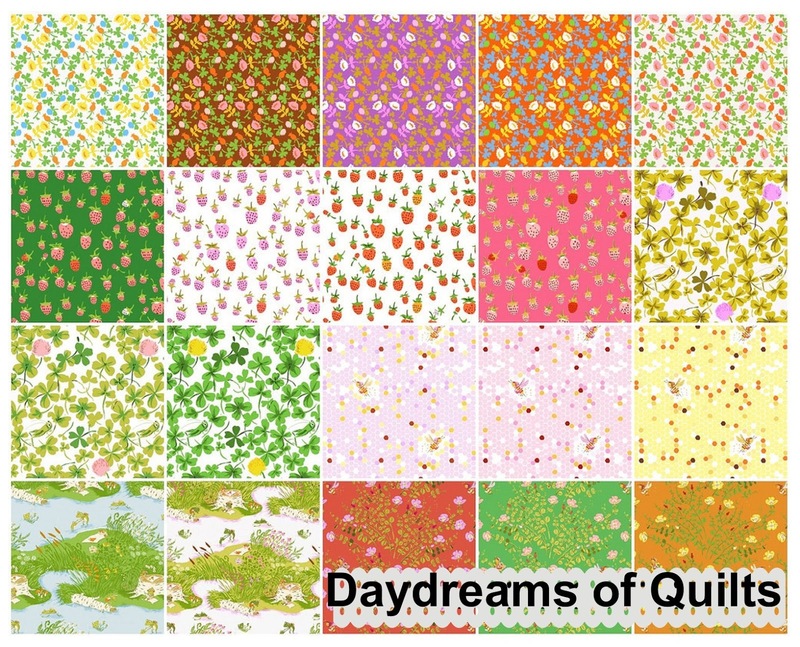 It would be hard to resist the temptation of those prices though because quilting is a very expensive pursuit. Thank you for your comments (here and on IG). I hope I have helped both current and future shops with my post. Hi Jenny. Yes, it is a bit discouraging I am sorry to say. However, if you do have a good chunk of investment money saved up I think you could make a go of it. Having only $1200 – $1500 like I did probably isn't going to be enough. One Canadian fabric shop owner commented on my Facebook post that she has worked extremely hard for years to get to a point where she feels like she's turned a corner. That's terrible, fabric lines seem to take ages to arrive in the UK too, but there is (kind of) a plus side for shop owners. If all of the US shops have sold their stock (even at sale prices) and you still have some, you then have a captive audience, there will always be people who dig out that bundle, then find they need extra yardage to complete a quilt. Or those who just waited to long to order from the US when they could. There is a market for older and out of print fabric lines. Hi Laura! You are a stronger woman than I. I must admit I have given in to the temptation to order from the States many times and I did order for that challenge that you mentioned. I really hope things improve for the shops up here as far as getting in more lines in a timely manner. It is so hard! Having our dollar tank so badly is good for our own shops though. I honestly cannot bring myself to buy when we are getting only 70 cents on the dollar. And I am working hard to design pattern that use what I have and hopefully help others use what they have too. Anita, Not really stronger (wink emoticon). It does bother me to not be able to see the fabric. Picking on the screen is hard. New fabric is coming in at $21/m in my local shops. This will certainly help me to curtail! Waiting is one thing, but for the all of the fabric not is come is another! I am sorry! Looking forward to your newsletter! Thank you Paige. The attempt at having a shop was a frustrating experience but I had enough time to get over it and now I can share with others about it and hopefully help and prevent some heart ache. Thank you for subscribing! I am so excited to have subscribers. 🙂 I am working earnestly on ideas for the newsletter. Thank you so much for sharing your experiences. Owning my own little fabric shop is a dream of mine. I truly appreciate your honesty and sharing the reality behind the dream. I hope you can try again someday and am glad to see that your enthusiasm has not been dampened too much. You can do it! You're welcome! Thank you for reading my post. I hope I do get a chance to try again. I admire anyone who undertakes to open a business, online or brick and mortar. I worked in a quilt shop 30+ years ago and saw the difficulty in obtaining the fabric in a timely manner and getting what you ordered. Then there was the requirement that you pay in advance until you had been established for a year. I honestly don't know how quilting stores stay in business when they have to compete with the on-line stores. So sorry you had this experience. Looking forward to your newsletter. Thank you Rochelle. 🙂 I was a bit blind going into it but I sure learned a lot from the experience. I don't know how the brick and mortar stores stay in business either. When you have to pay water, electrical, rent and so on. It is such a competitive world in the land of fabric, and I guess it really depends on the strength of your countries distributor too – on who gets what first !! Thank goodness you didn't put all your savings into it and good on you for knowing when to rest your dream for now 😉 i loved your post and thank you so much for sharing such a personal event in your life for us to learn how hard and competitive the world is !! Thank you Leanne. 🙂 It was a hard pill to swallow but at least I will know more and be more realistic on the next attempt.